An email subscription for fantasy hockey to deliver starting goalie alerts. Fast, personalized and easy access to starting goalies for all of your favorite hockey teams. 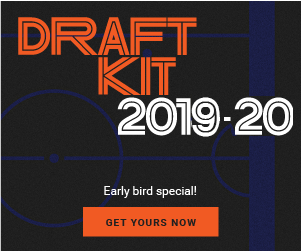 Get instantaneous email alerts, customized to your fantasy teams, so that you can make your fantasy hockey roster decisions with ease and speed. Our team has a 100% accuracy score over the past four seasons.